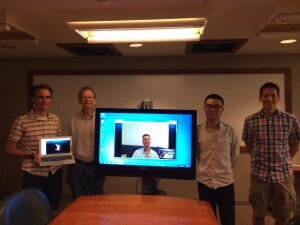 Left to Right: Prof. David Crandall, Prof. Devi Parikh (via Skype), Prof. David Leake, Prof. Russell Lyons (via Skype), Kun, and Prof. Kris Hauser. 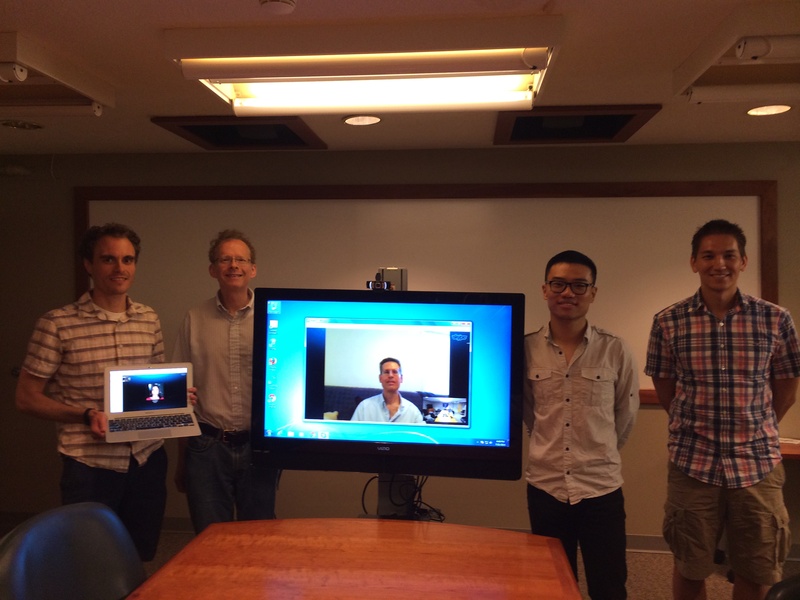 Congratulations to Dr. Kun Duan on successfully Ph.D. defense! His thesis, Conditional Random Field Models for Structured Visual Object Recognition, presents novel CRF-based solutions for three computer vision applications: human pose recognition, large-scale multimodal image clustering, and local attribute discovery for object recognition.